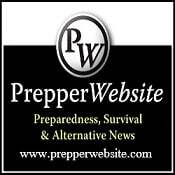 Pyote_Prepper created a new discussion in General Discussion forum litled Preppers not prepping?? This site was created with the intention of bringing as many like-minded people together as possible in the West Texas / S.E. New Mexico area. A place for individuals and families to establish their own preparedness plan and seek members of like mind. In the event of some catastrophic local or national event, where Rule of Law is lost, an individual should be ready and able to protect themselves and their family, as well as their property until Rule of Law is re-established. Preparedness used to be a word reserved for ‘conspiracy theorists’. People would think you were a little strange if you were ready at a moment’s notice to evacuate with an emergency kit, or if you stored extra food and water in case the stores shut down due to a natural disaster. That’s no longer the case. Those who are aware and are preparing for survival are no longer just the radicals hiding out in the hills. Everyday people, just like you, are asking questions, gathering information, making survival lists, purchasing supplies for preparedness and networking with others that want to take control of their future. Our world is experiencing a frenzy of change and uncertainty. Economies are in trouble, global government is pushing forward, terrorism has hit every continent, citizen unrest is building and natural disasters seem to be greater and more numerous than ever before. There may be a time when the electricity grid goes out, or water becomes contaminated, or the grocery store shelves are picked clean or your home becomes unsafe and unlivable. Earthquakes and hurricanes do not discriminate. There are also the everyday disasters that you hear about on the news, such fires, floods and tornados that wipe out the home of an entire family's and cause serious injuries or death to those who were not prepared. Everyone's survival situation is different. No one can accurately predict what will be needed to survive a natural or manmade disaster. You cannot rely on others to bail you out of an emergency, and you’ve been warned by the very agencies that might come to your aid and they may not be able to help you. The Department of Homeland Security continues to issue alerts and warn citizens about emergency preparedness. The Federal Emergency Management Agency, State Emergency Management Agencies, the American Red Cross, and other leading government and non-profit agencies are consistently delivering the same message to the public: BE PREPARED !!! Communities and governments do not have resources large enough, strong enough or even quick enough to help everyone. It’s your responsibility and yours alone to prepare yourself and your family for emergencies. There’s no escaping the fact that everyone is at risk. Desert Rat Preppers is NOT: A political group, religious group, An entity, Racist, sexist, or discriminatory. Having trouble logging in ???? If anyone is having trouble with this site, please send me an email so I can fix it.